Our farm is located in the middle of the beautiful little village "Wies". 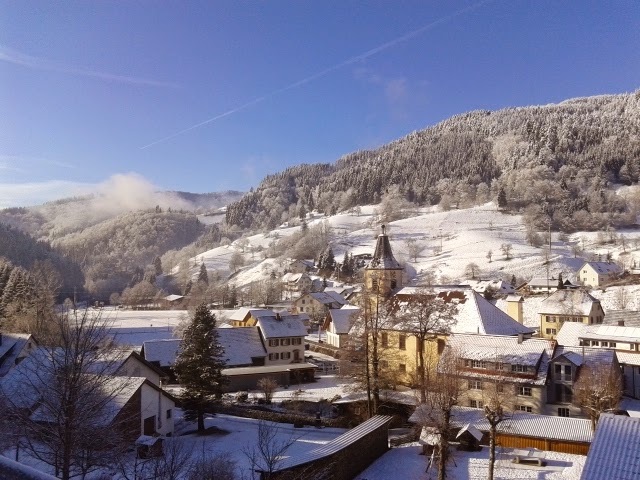 The peaceful village counts 250 inhabitants and is situated in an idyllic, sunny valley in the Southern Black Forest. A little shop with an extensive range of products offers almost everything one needs. The restaurant "Krone" with good regional cuisine is located only a few steps away from our farm. Our big, renovated farmhouse consists fo 5 housing units. One of these is used by us, three are constantly rented and one is used as holiday accomodation. The house is located on a 3000m2 big peace of land with a pretty garden and bordering pastures.